There are two basic types of spider. Those that make webs, and those that move around and hunt. Webbing spiders such as Redbacks, generally stay in one place but there are times when they move around looking for a better site, or when they are searching for a mate. Spiders are the heavy weights of the insect world for two reasons. And this makes them hard to kill. 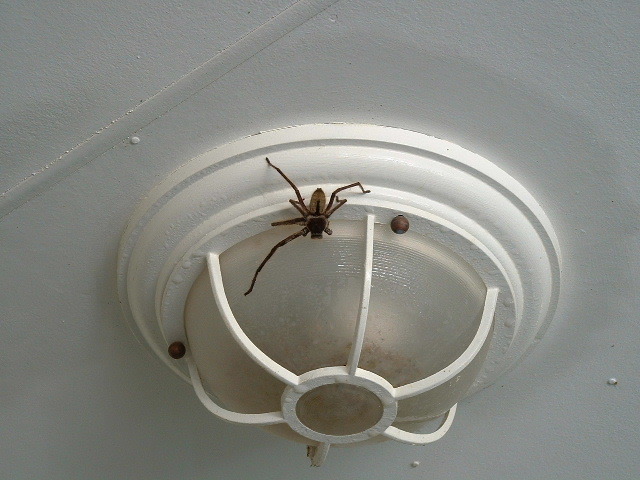 Remember the last time a big huntsman spider scurried across your living room? If your home had been sprayed correctly a month earlier, then there would be some residual spray in some of the places that the huntsman is travelling. This spider would be slowly gathering micro-doses of chemical, but due to it's many hairs, the tiny dose will take a long time to work its way to the tough exoskeleton. Once it reaches the exoskeleton it will slowly penetrate then kill the spider. This process may take around 24 hours. Not much chop if you are standing on a chair in horrified fear! If you are not easily scared, just forget it, then sweep it up the next day when it is dead. If you are scared, then simply pick up any brand of fly spray (not surface spray) and give the spider a very brief half second spurt. Ladies... there is no need to drown it in spray! Walk away and the spider will be dead in about an hour, maybe less. Or you could do as we do when at home, which is to rescue them (gently and carefully) and put them outside. Both webbing and non-webbing spiders are treated the same way by the use of surface spray. However the result is considerably different. 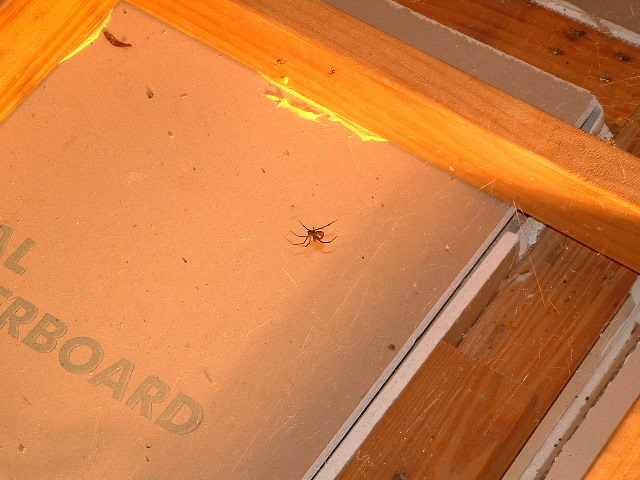 The spray is applied directly to webbing spiders, or if they are not visible, it is applied to their web. When they venture onto their web later, the spray will rub off onto them and they will die. For this reason, webs should be left before the spiders are treated, and only cleaned away a week or two later. Use a vacuum cleaner nozzle to remove all webs and spider eggs. Don't hose down webs, as this only washes away the spray and encourages spiders back. Because newly arriving webbing spiders only come in contact with a few spots where they secure their new web, surface spray is not effective against preventing them. For this reason, a few months after the initial treatment, spiders will start to build up again. Especially in summer when they are most active. 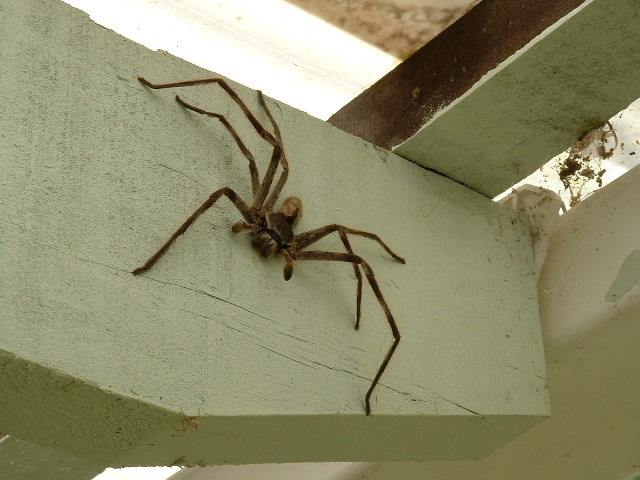 Surface spray will continue to work against huntsman spiders for much longer, though it is slow acting. 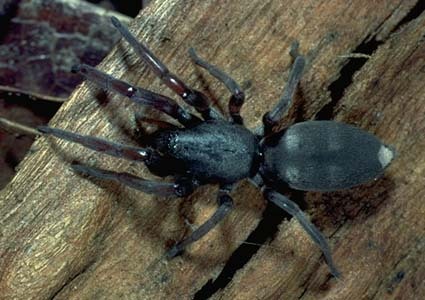 This Australian 'black widow' spider has a venom that can kill a small child or animal. It will make an adult person very sick and can put you in hospital in a serious condition, so it should always be treated with great care. 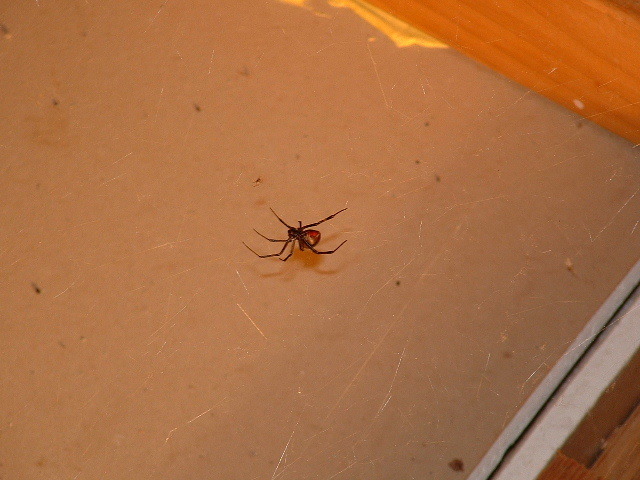 Redbacks are common throughout Australia and there are millions of them across the Gold Coast in the summer months. Most bites occur by accident, but there are plenty of people who get bitten when they act macho and try to catch one in a jar to show their friends. Around the garage roller door. Weep holes and entryways to houses. Under outdoor patio furniture, BBQ's, fencing, pergolas. Fortunately, redbacks die easily if treated by a professional. Don't handle redbacks or try to squash them, chances are you will be bitten. Teach your children not to touch any spiders. Teach them respect for spiders, not fear. 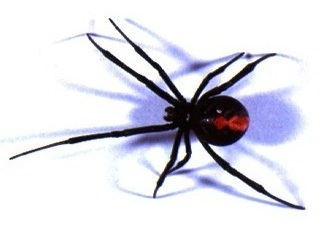 Carefully inspect outdoor toys, swings, bicycles, and furniture for redbacks before use. If you see a redback, spray it with fly spray and leave it alone for an hour to die. For an average home a treatment in or out for spiders will cost $185. For an average home a treatment in and out for spiders will cost $250. Cockroaches, silverfish Inside; and spiders in and out will cost $275 (Our most popular service). Spider treatments have a 3 month written warranty inside and out.